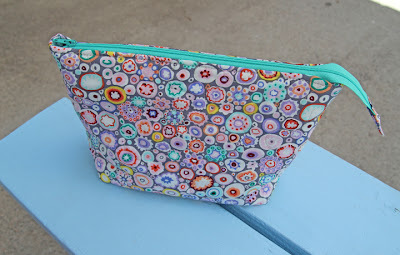 When I was browsing through Amanda's blog the other day we spotted her bag tutorials. Tim was with me, and his favorite was the juice pouch coin purse. We had to make one right then. He wanted one that his dollars would fit into. Rebekah wanted the one for coins. This one is for Tim's friend Andrew. You can find the tutorial here. Have fun making your own!